Pages in category "Articles using small message boxes"
The following 200 pages are in this category, out of approximately 75,769 total. This list may not reflect recent changes (learn more). The 3rd Light Horse Brigade was a mounted infantry brigade of the First Australian Imperial Force which served in the Middle Eastern theatre of World War I. The brigade first saw action during the Dardanelles Campaign in the Battle of Gallipoli where they were noted for their charge during the Battle of the Nek, after being withdrawn to Egypt in February 1916 they were involved in the Sinai and Palestine Campaign until the end of the war. The 3rd Light Horse Brigade was part of the 3rd Contingent that was put together at the beginning of October 1914. This Regiment was recruited exclusively from Victoria and this was a composite Regiment recruited from South Australia with two squadrons and Victoria which formed one squadron. Originally recruited in Western Australia as C Squadron 7th Light Horse Regiment and it was recruited exclusively from Western Australia and the Militia 25th Australian Horse. Initially, each Regiment within the Brigade raised their own Machine Gun Section which consisted of two troops and two Maxim machine guns and this situation remained from 1914 until in July 1916, when all Regimental Machine Gun Sections were excised and brigaded to form a Machine Gun Squadron. The 8th, 9th and 10th Machine Gun Sections were combined to form the 3rd Machine Gun Squadron under the command of the Brigade, the 3rd Light Horse Machine Gun Squadron was armed with 12 machine guns. The 3rd Signal Troop was created on 1 April 1916 by drafting in four signallers from each of the 12 Regiments at the Suez Canal, the 3rd Light Horse Brigade Train was primarily recruited around Melbourne and trained at Broadmeadows. After Gallipoli, this unit underwent some changes from 3rd Supply Section in February 1916 to 35th Australian Army Service Corps Company in February 1917. Prior to 1916, each Regiment maintained their own Veterinary Section, after the formation of the Anzac Mounted Division in 1916, the three individual Regimental Veterinary sections were brigaded to form the 8th Mobile Veterinary Section. Artillery support was provided for the 3rd Light Horse Brigade from British batteries, the first British battery attached to the Brigade was the 1/1st Inverness-shire Battery of the British IV Brigade, Royal Horse Artillery. The 1st Australian Wireless Signal Squadron was a unit of the Australian Imperial Force which served in Mesopotamia during World War I. Formed in late 1915, it took part in the Mesopotamian Campaign from 1916 to 1918, elements of the squadron served as part of Dunsterforce in 1918 and 1919, and in Kurdistan in 1919. The unit was known as the 1st Wireless Signal Squadron and 1st Australian. At the outbreak of World War I, the British Indian Army had a shortage of wireless equipment. On 27 December 1915, the Australian government received a request for a troop of wireless signallers to be sent to Mesopotamia. The troop, which known as the 1st Australian Pack Wireless Signal Troop, sailed from Melbourne on 5 February 1916 and after stops at Bombay and Columbo. The New Zealand government sent an equivalent unit which, together with the Australians, on 25 April 1916, the first of the Australian wireless stations set off from Basra on a 140 miles march north with the British 15th Indian Division. A month the station was sent by boat across Lake Hammar to Nasiriyah. Two New Zealand stations were sent to important locations on the Tigris, in March 1916, the Indian government requested that a third troop and headquarters unit be sent to reinforce these two Anzac troops to form a squadron. This squadron became known as the 1st Wireless Signal Squadron and consisted of two Australian troops and one New Zealand troop, each troop consisted of four stations. About half of these stations were more powerful transmitters carried on six-horse limbered wagons, in October 1916, the squadron was moved to the front in preparation for the British advance. Stations A through to H were Australian, while Stations I to L were New Zealand, the mobile Anzac stations allowed the commander of the British forces, General Frederick Stanley Maude, direct control over columns of cavalry out on operations. The column commanders were required to report via the wireless stations, the stations achieved reliable communications by using a series of relays, in which the rear most station would dismantle the moment the foremost station began to transmit. 1 Parachute Battalion is the only full-time paratroop unit of the South African Army. It was established on 1 April 1961 with the formation of the Parachute Battalion, after 1998 this unit was renamed to Parachute Training Centre. Their best known action was the controversial Battle of Cassinga in 1978, the units nickname Parabat is a portmanteau derived from the words Parachute Battalion. These men together with a unit called 2 Mobile Watch formed the nucleus of 1 Parachute Battalion at Tempe in Bloemfontein in April 1961. 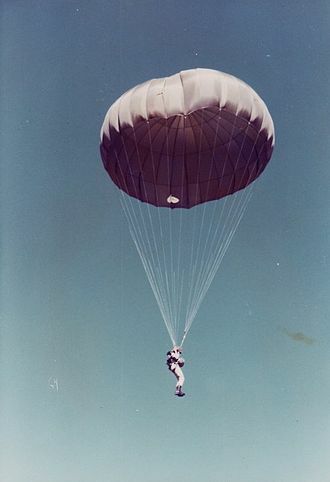 The first paratroopers were Permanent Force men, but soon the training of Citizen Force paratroopers commenced. Members of 1 Parachute Battalion were the first S. A. Army men to see action after World War II when, in 1966, they participated, with the South African Police, against insurgents in S. W. A. In 1966, members of 1 Parachute Battalion participated in the first action in the war in South West Africa during an assault on an insurgent base. Thereafter, they were involved in operations in SWA/Namibia, Zambia and Rhodesia,1 Parachute Bn. was organised as follows, Permanent Force, Bn H. Q. Coy and A and B Coys, Citizen Force, C Coy Cape Town, D Coy Durban, E Coy Pretoria, in 1974 and 19751 Parachute Battalion operated along the Angolan border with S. W. With the coming of 44 Parachute Brigade in April 1978, under the leadership of Brigadier M J du Plessis and Colonel Jan Breytenbach, the first large airborne exercise of the Parachute Battalion Group took place in 1987 in the Northwestern Transvaal. 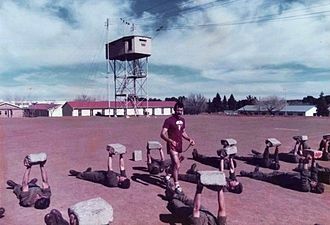 With the eventual disbanding of 44 Parachute Brigade its full-time personnel were moved to Bloemfontein, in 1986, the unit embarked on its first HALO/HAHO course in Bloemfontein. This would enable the troops to drop into enemy territory from aircraft following commercial routes, in 2001 battalion personnel formed the spearhead of the South African Protection Support Detachment deploying to Burundi. In 2014 it was announced that 1 Parachute Battalion would receive Battle Honours for this operation, the school has had only four fatalities in its existence. For other roads with the same name see List of A21 roads. The A21 is a road in Southern England, one of several which connect London. It provides a link to Hastings, East Sussex and parts of Kent, half of the distance covered is over gently undulating terrain, with some hills and bends. Often traffic is slow-moving, particularly on weekdays on the single carriageway stretches, because of this, people have described the A21 as a joke and businesspeople have been reported to hate coming down the A21. There have been proposals to upgrade parts of the A21 in response to this. It is the location of the first wildlife overbridge in the United Kingdom, the road between the M25 and Hastings is designated a trunk road, and is maintained and managed by Highways England. The A21 is used for the 55 miles Maydayrun to Hastings in which motorcyclists ride from South London to the Hastings seafront and it claims to be the largest non-organised event in the UK, attracting over 20,000 bikers. The A21 begins in Lewisham, about 4 miles southeast of the centre of London, passing through Catford and Farnborough, twenty miles from the start of the journey, it reaches the Kent border and the open countryside. Shortly afterwards the M25 is reached, with which it multiplexes for about 5 miles, at this point, the road becomes a trunk road, a distinction it has held since April 1977. The continuation through Kent heads south east for around 26 miles and this section is mostly a dual carriageway, but there are a few short stretches of single carriageway, resulting in frequent congestion, especially in peak periods. Beyond the East Sussex border, the road is mostly a single carriageway route, another bypass takes the A21 around the narrow road through Salehurst and Robertsbridge. Immediately before Hastings is the hill, almost 4 miles in length. Parts of the A21 follow the roads, one being the section from Sevenoaks to Tunbridge Wells, opened in 1710. Sections of the A21 were upgraded to a dual carriageway standard in stages in the 20th century, the Sevenoaks Bypass opened in 1966, followed by the Tonbridge bypass and associated Medway Valley viaduct in July 1971. The Pembury bypass opened in 1988, the Lamberhurst Bypass was opened on 23 March 2005 to a cost of £18 million. The 1st Marine Aircraft Wing is an aviation unit of the United States Marine Corps that serves as the Aviation Combat Element of the III Marine Expeditionary Force. The wing is headquartered at Camp Foster on the island of Okinawa, activated in 1940, the wing has seen heavy combat operations during World War II, the Korean War and the Vietnam War. As a collateral function, the Wing may participate as a component of Naval Aviation in the execution of such other Navy functions as the Fleet Commander may direct. In late 1940, Congress authorized an air fleet of fifteen thousand aircraft. The Marine Corps was allotted a percentage of these planes to be formed into 2 air wings with 32 operational squadrons, on the advice of Navy and Marine advisors returning from observing the war in Europe these numbers were doubled very soon after. It was under this program that the 1st Marine Aircraft Wing was activated at Marine Corps Base Quantico, Virginia. The First Marine Aircraft Group which was the largest east coast aviation unit in the Marines at the time, became its first component, although a new wing, it is considered an unofficial descendant of the Northern Bombing Group of World War I. Following the attacks on Pearl Harbor, the transferred to Naval Air Station San Diego, California, on December 10,1941. Its core consisted of two units — a regimental combat team from the 5th Marine Regiment and Marine Aircraft Group 33 and their job was to provide close air support and Medevac for Marine ground forces. In late-June 1952,75 aircraft from 1st MAW participated in the attack on the Sui-ho Dam which were aimed at the hydroelectric plants in North Korea. The Wings Chief of Staff Frank Schwable was shot down in July 1952 and he was eventually cleared of all charges, but his case prompted a review of training and expectations of prisoners-of-war. Two 1st MAW aircraft groups, MAG-33 and MAG-12, and the 1st Antiaircraft Artillery Gun Battalion served during the course of the war, supplemented by C-130 transports where there were landing strips, were used to re-supply Marines in the field at remote outposts. Other Marine pilots, flew UH-1E Hueys, and AH-1 Cobras, many of these choppers provided reconnaissance and armed air cover for combat air operations. Physical Training with the "Marble"
Making a 3D-model of a Viking belt buckle using a hand held VIUscan 3D laser scanner. 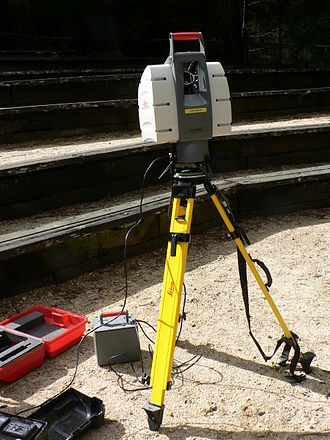 This lidar scanner may be used to scan buildings, rock formations, etc., to produce a 3D model. The lidar can aim its laser beam in a wide range: its head rotates horizontally, a mirror flips vertically. The laser beam is used to measure the distance to the first object on its path. 3D reconstruction of the brain and eyeballs from CT scanned DICOM images. In this image, areas with the density of bone or air were made transparent, and the slices stacked up in an approximate free-space alignment. The outer ring of material around the brain are the soft tissues of skin and muscle on the outside of the skull. A black box encloses the slices to provide the black background. Since these are simply 2D images stacked up, when viewed on edge the slices disappear since they have effectively zero thickness. Each DICOM scan represents about 5 mm of material averaged into a thin slice. 3rd Goorkhas during the march to Kabul. View of Almora, with soldiers of 3rd Gurkha Rifles, 1895. 'F' Station, 1st Wireless Signal Squadron in Baghdad, 1917. A Yaesu FT-857D tuned to 50.125 MHz, the traditional 6-meter single-sideband calling frequency in the United States. 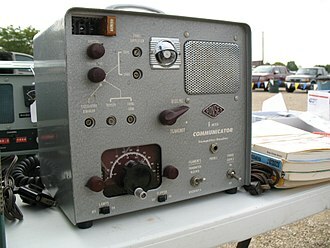 A Gonset Communicator II 6-meter AM transceiver. This vacuum tube radio with a magic eye tube tuning indicator, was affectionately known as a "Gooney Box" and was popular in the 1950s and 60s. A 2-meter version was also sold. 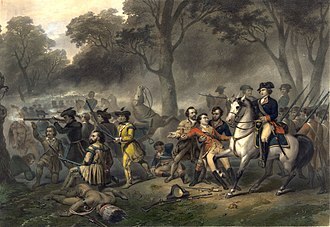 71 Pte W.H.R. Woods, 1st LHR, Died of wounds 15 May 1915. Comparison of the same scene in One Piece. Original Japanese version (top) and 4Kids edit of what could be perceived as blackface (below). A chart showing how Television channel frequencies in various countries relate to the 4 metre amateur band.